Before the ball drops, ThornCreek will feature an exquisite dining experience. 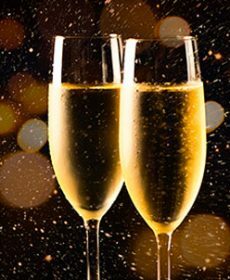 The evening includes a 3-course dinner with a Champagne toast with dessert! Enjoy live music with Greg Garwood from 5-8pm. Seating reservations available from 4-9pm.